Deirdre O’Connell, of Lena’s Tea Room in Carrick-on-Shannon, has won the Bronze Award for Marmalade for Savoury Food in the artisan awards category for her pink grapefruit and cranberry marmalade at the prestigious World Marmalade Awards. 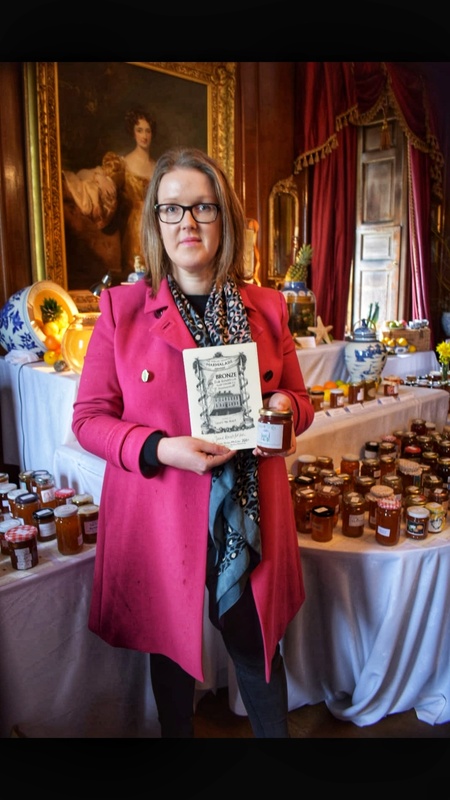 The World Marmalade Awards ceremony took place on March 16, at the Dalemain Mansion, a stately Georgian home on the outskirts of Penrith, in Cumbria, England. “I thought The Pink Grapefruit and fresh Cranberry was a quirky recipe and that it could be lovely for breakfast or could go well with dark meats such as duck or pheasant,” said Deirdre. “As a small business, we can make only small batches, and this marmalade is no exception. Before it sold out completely, I reserved two jars to enter into The World Marmalade Awards. It was a spur of the moment decision! To win a world award is absolutely amazing and a huge honour. This is especially more so, as in less than two weeks myself and my eight team members – who are the best people to be work with – will be celebrating eight years since we first opened the doors at Lena’s Tea Room,” concluded Deirdre. The pink grapefruit and cranberry marmalade is available for purchase in Lena’s Tea Room, Main St, Carrick-on-Shannon.